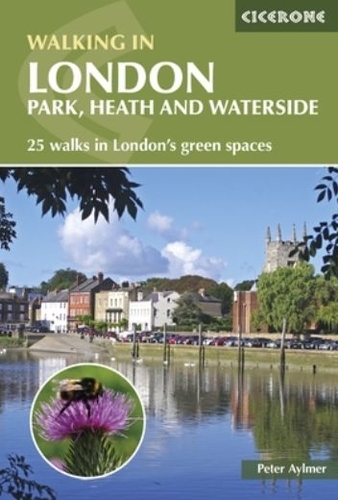 This guidebook presents 25 varied walks exploring Londons green and open spaces. 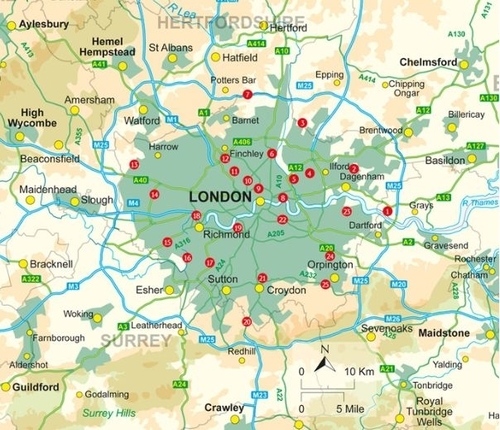 Covering both the city centre and the Greater London area, it takes in royal parks, heaths, forests, canals and rivers, including Epping Forest, Hampstead Heath, the World Heritage site of Kew Gardens and Wimbledon Common. 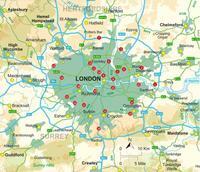 Walks range from 4 to 14 miles and most can be accessed by public transport. Alongside detailed route descriptions and OS mapping, the book features practical information on parking, public transport and refreshments. 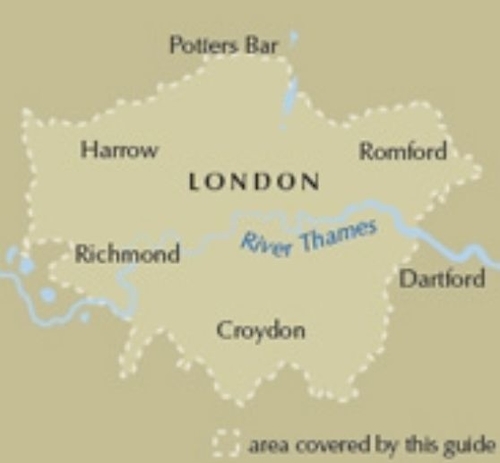 Each walk showcases a particular species of wildlife that you might encounter, and there is fascinating background information the history and conservation of the capitals wild spaces. London is a city of 8 million people and 8 million trees, and its vast open spaces are home to 13,000 species of wildlife. This book is an ideal companion to exploring a greener, more gentle side to the city.